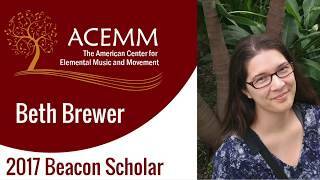 ACEMM is pleased to announce our 2018 Beacon Scholarship recipient, Theresa Iacarino. Terri is the vocal/general music teacher at Joppa View Elementary School in Baltimore County, Maryland. As a member of the Maryland Music Educators’ Association, she serves as the MMEA Technology Chairperson, coordinating professional development opportunities for music educators in the state.